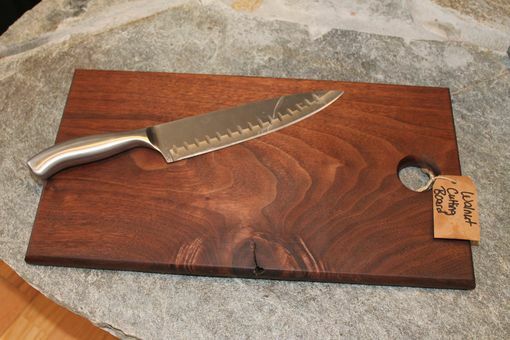 This Solid Virginia Black Walnut Cutting board features old world style and feel. Its smooth rounded edges give it the feel of a well worn piece. It can easily be gripped using the 1-3/8" hole or hung for both display and easy access. 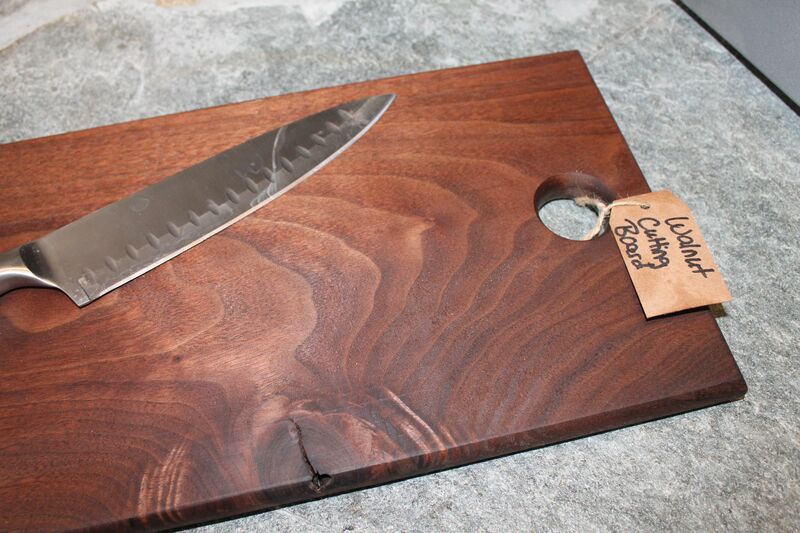 This cutting board combines style and function and will last for many years. 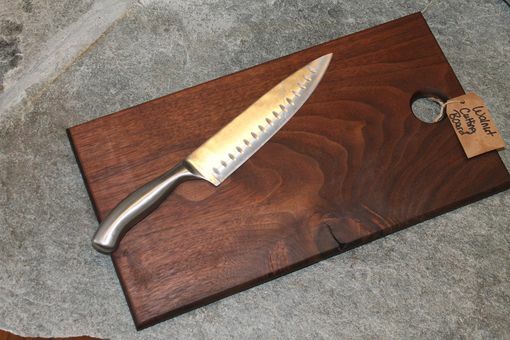 Easily maintain your cutting board with food grade mineral oil for a long life. Cutting Board measures 16"X8.5"